It is good to be back after taking a week off for Turkey Day. I was very happy to learn that Artful Daggers is making it to print and the first trade of Ghosted dropped. Two series that are well worth your time and your dollars. All Out War is living up to the hype in the world of the Walking Dead and I am proud to report that Abraham's Army raised over $3,000 in its Movember campaign. Thanks to all who contributed! 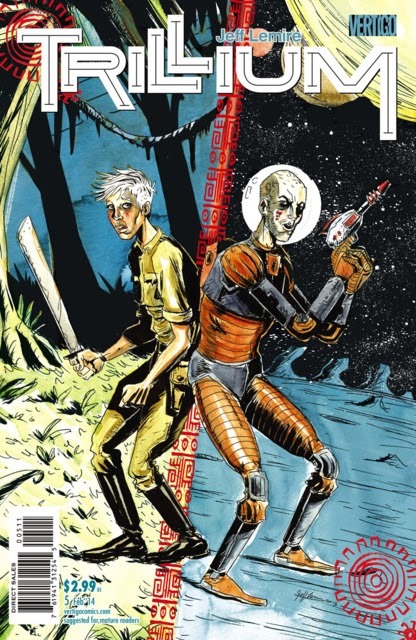 Trillium #5 - What Jeff Lemire is doing with this medium simply isn't fair. Not only is this sci-fi tale of time travel and intersecting worlds fascinating, he is challenging the notion on how comics should be read. Nika and William find themselves in each others' worlds and struggle to find meaning in their new environments. Nika feels ill as she is seeming trapped in her Victorian world and William struggles with his life in the future. There are hints at what can bring these two back together and I can't wait to get my mitts on the next issue. Lemire should be an intimidating force to other creators with the work he is producing. 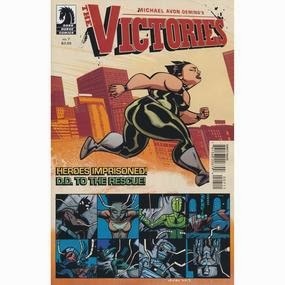 The Victories #7 - Brian Avon Oeming has a series on his hands that has been a pure pleasure to read. It was hinted that a big event was occurring in this issue and Oeming delivered. I will not spoil anything, but I was left with my jaw on the floor. The Victories are trapped and D.D. is attempting to free them. Despite a large number of superheroes in their unmentionables, Oeming delivers an issue that is both emotional and exciting. If you are a fan of Powers and are not reading this title, what is wrong with you? Six Gun Gorilla #6 - This series came to its conclusion as Blue was able to topple the corrupt corporations that televised the death of countless humans for entertainment. The ending left the door open for the series to continue, which would be fine by me. This series has had its highs and lows, but is original enough that I would continue to check out this title. 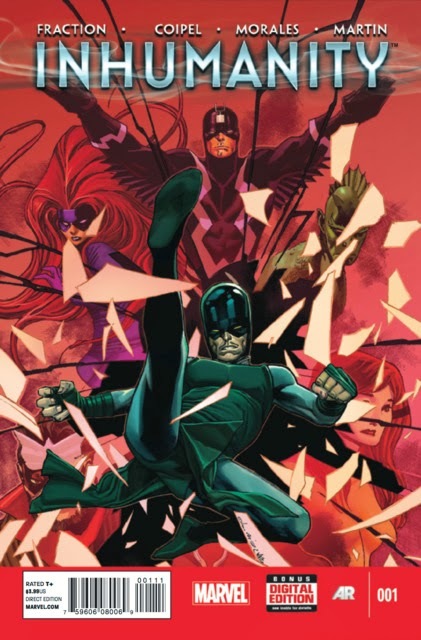 Inhumanity #1 - Matt Fraction has taken the helm of the Inhumans and his debut issue should give all fans of the Inhumans reason to celebrate. The destruction of Attilian has revealed that Inhumans have been living amongst the humans for many years. Fraction manages to provide a quality history on the Inhumans and sets the stage for how the destruction of Attilian could impact the Marvel Universe. Solid debut issue.